The AACTB Child Centre is an independent children’s aid project on the Cape Verde island of Sal. It combines several projects in one location. We look after 200 children of different ages. Our projects are supported by donations from private sponsors. There is no sponsoring association. Your donation goes directly to the children, without any deductions. The current monthly costs for each child are about 50 €. 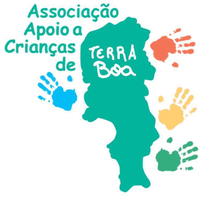 Since founding the children’s aid project in 2010, many people, institutions, companies and partner from Germany and abroad have been supporting our work at the AACTB Child centre in Terra Boa in various ways. We would like to thank you for your support.